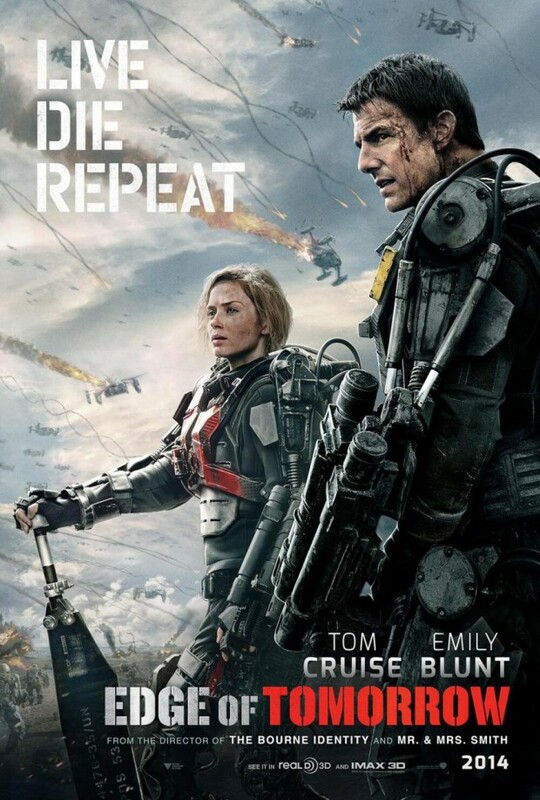 Think of “Groundhog Day” morphing from comedy to Science-Fiction and you’ll get an idea of the amazing stuff waiting for you in “Edge Of Tomorrow”, an incredibly entertaining summer movie from director Doug Liman that is potent enough to make us stop ID’ing him as “that guy from The Bourne Identity”. A terrific Tom Cruise powers through the role of Major William Cage, an officer who has never fought a war before but is inexplicably dropped into a suicide mission. Killed within minutes, Cage finds himself reliving the last 24 hours over and over again until he finds a way to end this war. Sounds simple? It isn’t. I won’t reveal more. But I will say that Cruise is so credible, that we never lose rooting interest, even though the challenges he faces grow more extreme as the story progresses. And by the time we get to the nail-biting climax he pretty much represents us onscreen, desperately trying to clear one challenge after another in an effort to save the day. This is tried-and-true storytelling and it works like a charm. The visual effects are impressively crafted by director Doug Liman to make every trial and encounter seem horrifically real, from the first attack to later, more grandiose set-pieces. Working from a solid script by Christopher McQuarrie and Jez Butterworth, Liman creates scary, hairy, high-octane tension. Does it always pay off? No way. But it’s a small price to pay for a movie that grabs you and never lets go. “Edge Of Tomorrow” is a solid piece of entertainment and a perfect summer vehicle for the underrated Cruise. See it.